Americana Building Products of Salem, Illinois, has been manufacturing building products for 47 years. 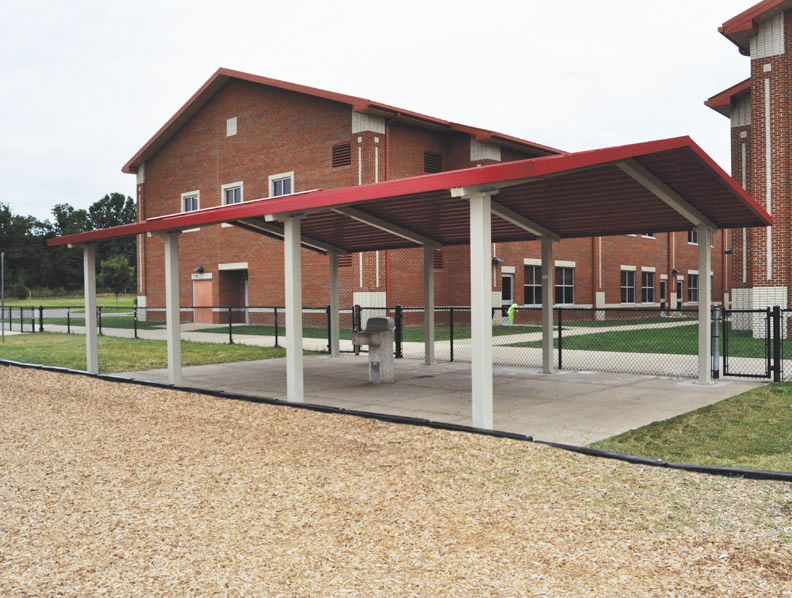 Through the years, we have developed a variety of shelter lines built with quality material and structural integrity you can count on. Structural rafters and columns are steel unless otherwise specified. The steel conforms to: ASTM A 36 or the equivalent specifications. All metal components have a baked on power coat finesh in your choice of color over a factory primer. 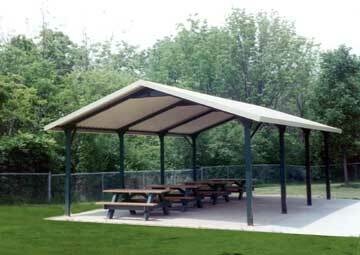 Most shelters are availablein two styles: The tubular rafters and columns or the C Channel rafters and columns. Roof decking is high strength, recycled aluminum with stucco embossed, painted finish. Optional Galvalume steel is also available. These materials are rolled into panels with a watertight, snap lock connection and a 3 V shape with 2 1/2" ribs, 8" on center. This heavy-duty, maintenance-free construction of this pavilion offers a practical, long-lasting shelter which looks good for years and years. 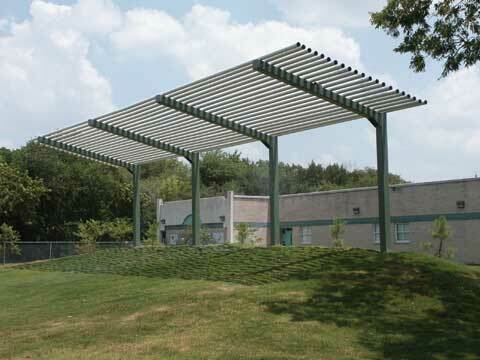 Available with bronze, white or tan steel structure and bronze, white or tan roof panels made from high strength recycled aluminum alloys, the Meramec pavilion has a crisp and clean design which enhances the beauty and use of any park or recreation area. The steel structure is available in the new tubular style of the original C Channel style. Selected sizes available with DSA pre-approval. The Illini offers a tubular design with a one anchor bolt mounting system concealed in the legs. Available with bronze, white or tan steel structure and bronze, white or tan roof panels made from the highest strength recycled aluminum alloys, the Illinis is designed for many years of protection from the elements. Selected sizes available with DSA pre-approval. This durable, long-lasting shelter provides a rustic appearance to blend with every outdoor environment. Available with bronze, white or tan steel structure and bronze, white or tan roof panels made from high strength recycled aluminum alloys. Selected sizes available with DSA pre-approval. This unique, hexagon-shaped shelter provides more square footage of overhead protection than rectangular coverings. Available with bronze, white or tan steel tubular structure and bronze, white or tan roof panels made from high strength recycled aluminum alloys. This compact and practical shelter is ideal for golf courses, rest stops, historical markers and picnic areas where space is limited. The Cherokee shelter is a sturdy covering available in white or bronze. Aluminum roof decking and tubular steel structure. 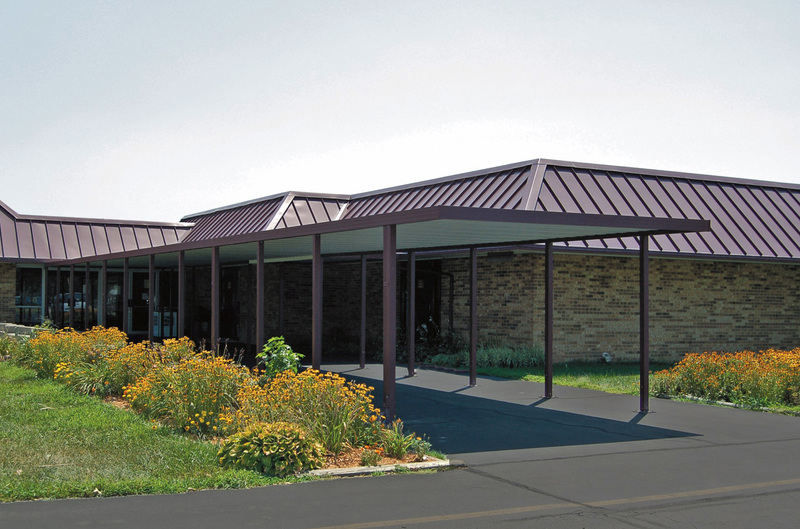 Options available: prefabricated structure for adding a picnic table and benches, and prefabricated structure for adding signs or bulletin boards. 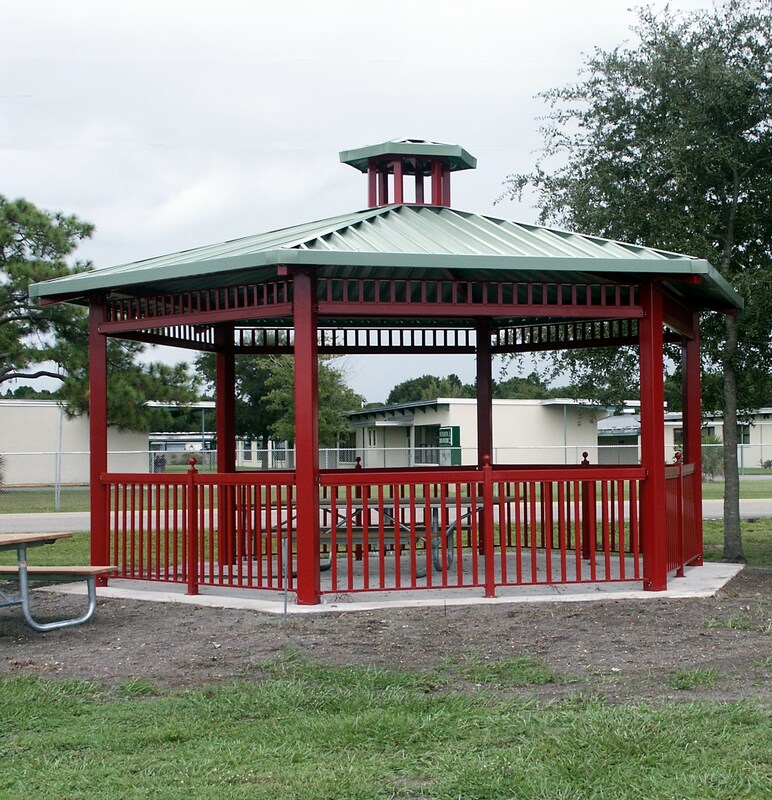 The Colonial features pre-fabricated, anti-graffiti powder coated aluminum components. Extruded aluminum gutter, purlins and ridge beams are standard and the aluminum gable fill kit is included. Structural, interlocking roof panels for superior strength and less supports. 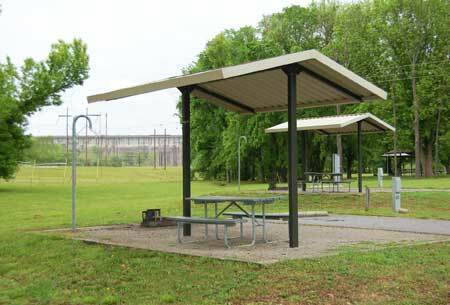 All metal construction puts an end to wood rot, repair and maintenance with this part-shade shelter. Round lattice design comes in single or double arm style with 3" round extruded aluminum tubes, 6" centers, and 3" opening. Powder coated steel frame with an anti-graffiti finish. This multi-purpose, recycled all-aluminum shelter is compact, maintenance-free and economy-priced. Assembles easily. The Algonquin shelter is a great value and available in white or bronze. The posts are made of tubular aluminum.